Superman vs. the Atom Man! With the recent release of the 1940's radio serials of Superman's adventures, I thought it was time to take a look at one of his greatest foes -- who has yet to be revamped into current continuity! 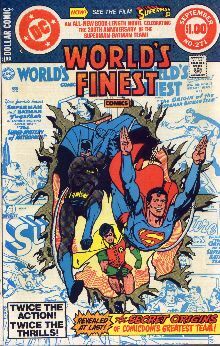 World's Finest 271 goes back to the days when Batman and Superman were far more "chummy". 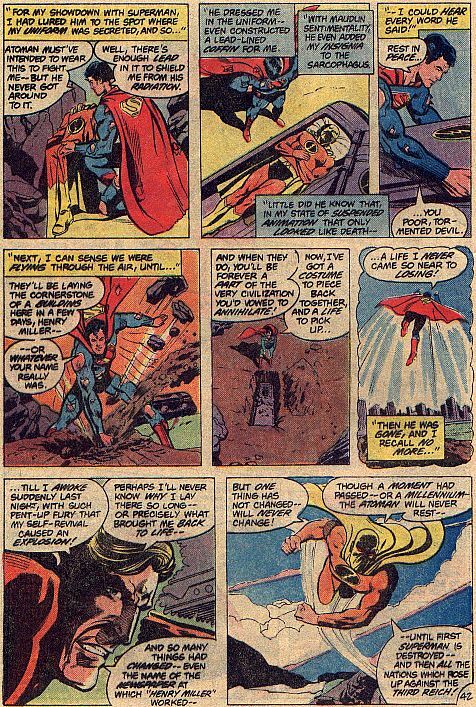 The pre-Crisis origin of their team-up was in such disarray it took writer Roy Thomas 48 pages (no ads!) to sort everything out. In addition, Roy wrote a great letter explaining why this story was written. Click HERE to read about "The Secrets Behind the 'The Secret Origins of the Superman/Batman Team'", and share in the enthusiasm that made such a great story possible. 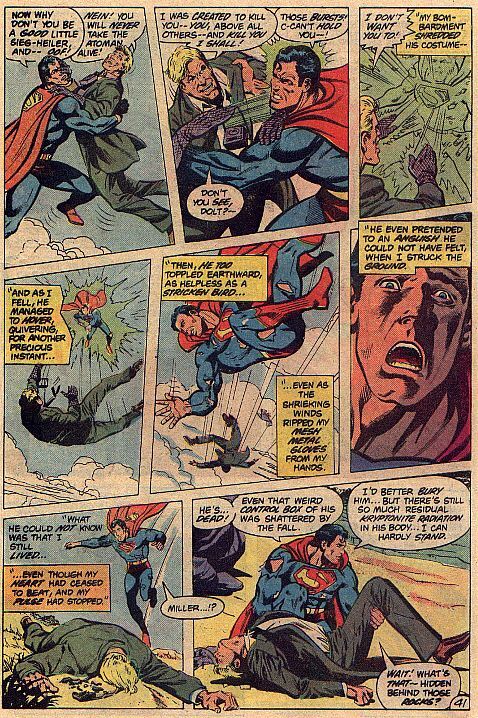 In WF 271, Superman and Batman reminisce about how they got together as a team, to help them defeat their latest menace, "the Atoman". 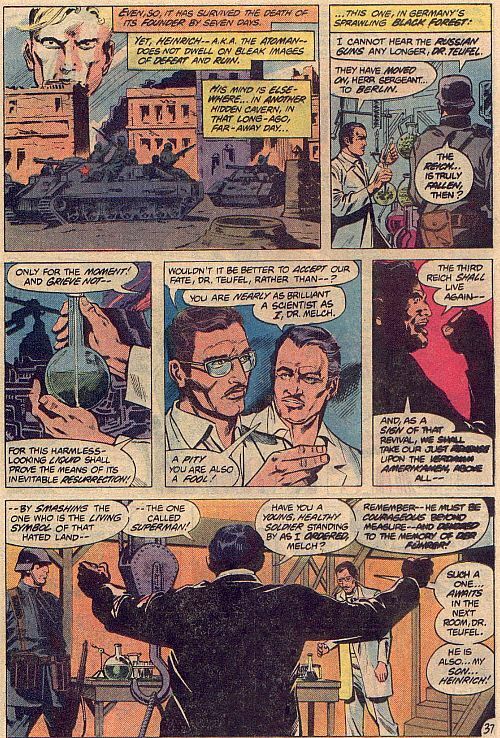 Atoman (or Atom Man, or Atom-Man, or whatever) was a Nazi soldier who was injected with a kryptonite serum to make him powerful enough to destroy Superman -- kind of like the RED SKULL, except that he uses kryptonite instead of super-soldier serum. 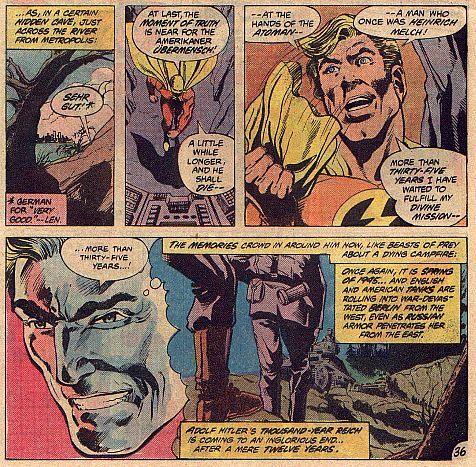 WF 271 recaps the end of the radio serial, and it's a real treat to pick out elements from the serial that come to life in the comics--over twenty years later! 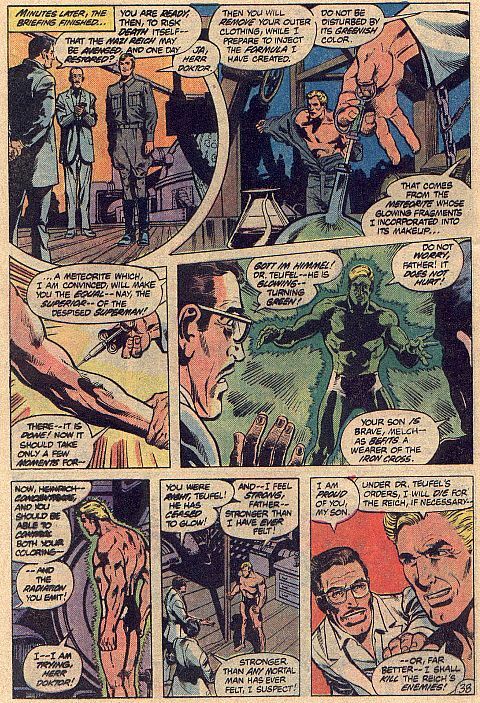 (For example: in the serial, Atom Man had to wear metal mesh gloves and a throat-box to control his power--now check out the Atom Man from WF271 on pages 5-6, below! Rich Buckler does a great job, re-sketching scenes from classic stories, giving a new life to them. He does a masterful job in trying to downplay the Earth-1/Earth-2 clues when Roy Thomas doesn't want the reader to know it yet. Rating: 4-1/2 Chees. I'd give it 5 chees but this wasn't a true budget bins comic because I found it before I became a budget bins collector. However, it can probably be found there sooner of later. 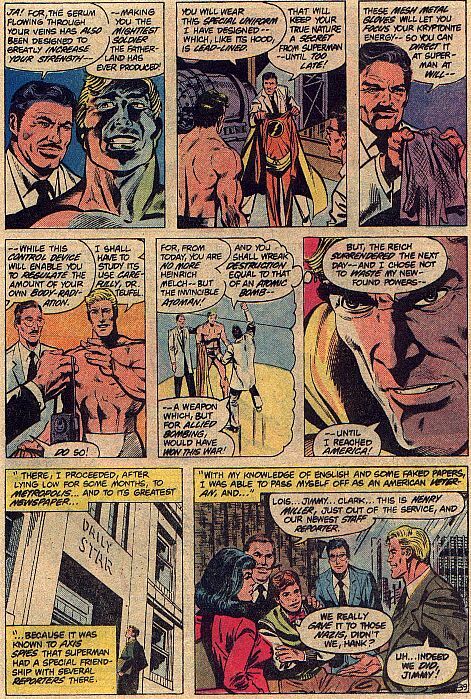 The radio story itself is kind-of dated, but the Atom Man as a villain is really a yet-untapped potential. True, DC has made kryptonite villains in current continuity (ie. 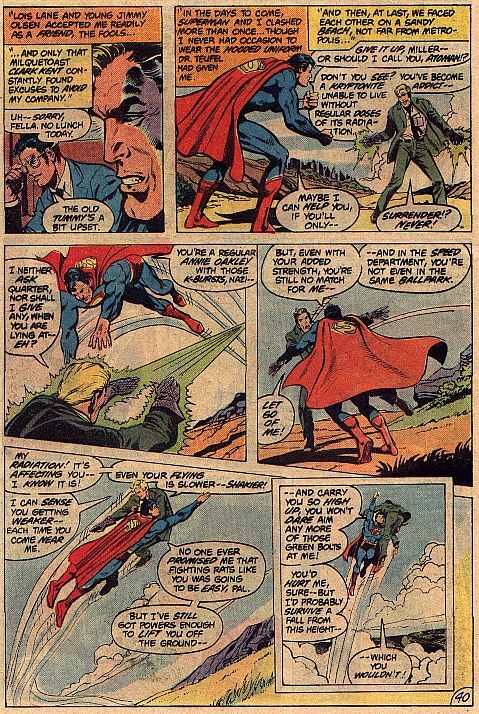 Metallo, Lex Luthor (w/ kryptonite ring) but Atom Man had a specific deviousness about him that was hard to match. It's part of the chemistry that makes Captain America vs. the Red Skull work so well.